In the normal course, cartilage goes through a normal cycle of breakdown and repair. However, in patients with osteoarthritis (OA), the cartilage is not replaced appropriately which leads to the gradual degeneration of the joint lining. The imbalance between new cartilage production and natural degradation is thought to be the main problem of OA. The body attempts to address the problem as the joint cartilage breaks down by initiating an inflammatory response to the joint which causes inflammation. There is creation of new bone in the form of bone spurs to increase the surface area of the joint. Unfortunately, the body cannot replace the lost cartilage, and as a result, the painful condition of osteoarthritis develops. Board certified orthopedic surgeons at Thomas & Bigler Knee & Shoulder Institute provide treatments for the knees, shoulders and other joints to patients in Las Vegas, Nevada, and surrounding communities. Osteoarthritis treatment aims to control the inflammatory response and maximize the body’s ability to compensate for the damaged joint. Anti-Inflammatory Drugs: Anti-inflammatory drugs, also known as NSAIDs, are oral meds that manage the inflammation cycle. These drugs are available in the market under the trade names Naprosyn, Motrin, Celebrex, and others. These medications help reduce the inflammatory process as well as OA-related pain. Cortisone Injections: Cortisone injections help control swelling. The body naturally produces this substance in the adrenal gland. Synthetic cortisone injections can help offer a very high dose of anti-inflammatory drugs directly to the compromised joint. While the impact of taking glucosamine and chondroitin is under research, it is still not fully understood. As mentioned earlier, OA is considered to develop due to the insufficient production of new cartilage to replace old, degraded cartilage. Glucosamine and chondroitin are some of the “building blocks” of cartilage. Some individuals contend that taking these supplements may help in the production of more cartilage. Medical professionals generally contend that these supplements may have an effect on OA, but it is not well understood at this time. But this treatment is known to be safe and may have some usefulness in the treatment of OA. Synvisc is a substance known as hyaluronic acid (HA), which is a protein that is secreted by cartilage cells. HA is secreted into the joint and offers the joint fluid a viscous or slippery quality. 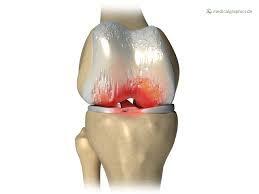 Some individuals believe that injecting HA into the knee replaces this crucial component of joint fluid. While long-term studies have yet to show any clear advantages of Synvisc in OA management, many patients believe in its positive impact. Cartilage resurfacing and cartilage transplantation techniques are also new treatments of interest. These procedures are often used in patients with arthritis of the knee joint. But these techniques have shown the best outcomes in patients who have only small areas of arthritis of the joint, instead of extensive cartilage degradation that is often seen in patients with osteoarthritis.